Kumar has served on the board of Scholars International Group (SIG) since 2005, and has done so full time since 2012. As director, he oversees the strategic management and growth of the school organisation, reporting to the chief executive. 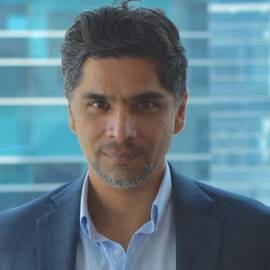 Prior to joining SIG, Kumar was president and founder of online advertising and technology company Digital Root, where he oversaw the development and introduction of technology products into the market, as well as the building out of the company’s agency services and overseas offshoots. He began his career in 1996 as marketing manager at direct marketing agency Venture Director Worldwide, before becoming marketing director at iUniverse, an on-demand publishing company. He has industry experiences as a mentor, judge, moderator and speaker. He was also a founding member of NY Angels, an angel investment group based in New York City. Kumar received his International Baccalaureate from St. Clare’s, Oxford and he has a degree in marketing from Georgetown University.